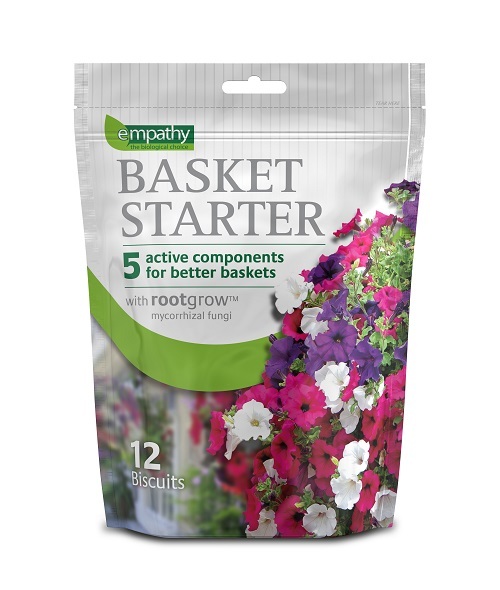 This great offer gives you 15 begonia tubers – 3 each of pink, red, white, yellow and orange and includes a free pack of Basket Starter worth £5. This product has 12 biscuits which contain 5 active components to make better baskets as well as root grow mycorrhizal fungi. The tubers we supply are 6/+cm corms. Begonias are well suited for borders, bedding and containers and will brighten up any garden. They have a long flowering period which starts in July and will go right through to the first frosts if they are kept well fed and watered. Can be started off in a protected greenhouse from January and once the fear off frosts have gone in March/April they can be planted out direct into the garden/container. Begonias are excellent for containers and will provide a mass of colour throughout the summer. Protect young shoots from slug and pest damage. Instructions provided but for further growing instructions see ‘Tim’s Tip’s begonias’ on youtube. 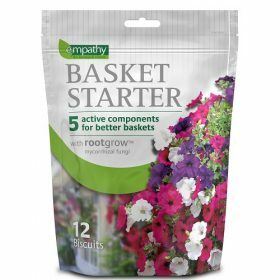 Five active components for better baskets and patio pots. 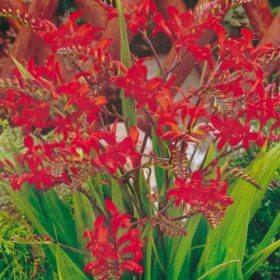 Crocosmia Lucifer produce large rich red, funnel shaped flowers. This is one of the most popular of the crocosmias and will provide an immense amount of colour to any garden environment. 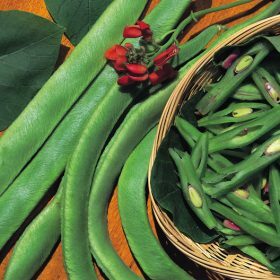 A traditional old variety, long pods of fine quality and flavour which crops a little earlier than most other varieties. 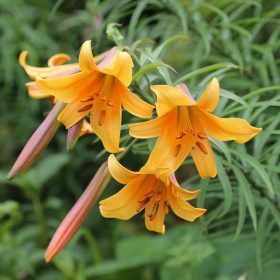 This is a new strain of lilies that are pollen free and have semi-double to fully double sugar pink flowers. Lilium longiflorum is a very popular pure white trumpet lily that is also ideal for pots or any border. 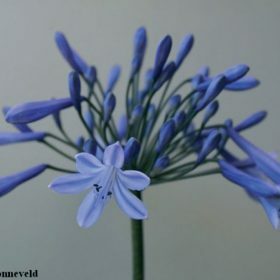 Plant in a well drained position or in raised beds in groups of 3 or more.